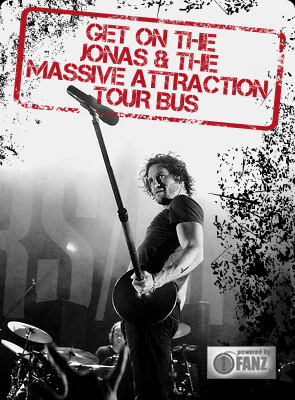 It was Friday the 13th and Jonas & The Massive Attraction made it an even more memorable night with their killer performance at Kantine in Augsburg, Germany, as part of an exclusive “Win To Get In” show for radio contest winners from Rock Antenne. The band brought their stadium sized rock show into the intimate club and gave lucky winners a show they won’t soon forget. Click on Kantine Photos to see the full album of photos from the event!